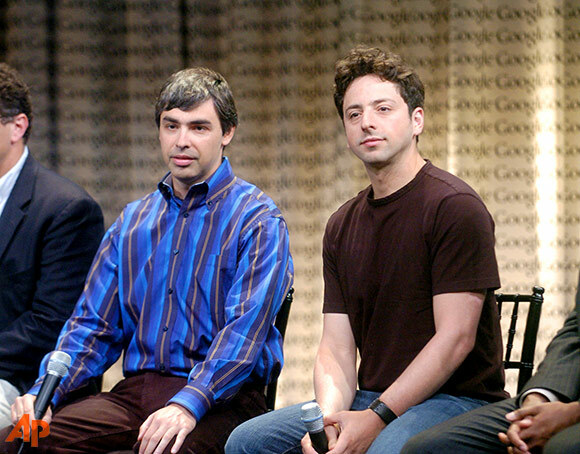 1998: Handed a check for $100,000 made out to “Google Inc.,” Sergey Brin and Larry Page figure they better incorporate their fledgling search engine. So they do. Brin and Page met while grad students at Stanford University and, according to company lore, took an instant disliking for one another. They nevertheless found a common interest in the idea of devising a reliable method for retrieving what you want from the endless amounts of information available on the internet. Their technology was solid, but not solid enough to impress either the money boys or the major internet portals, so they continued struggling for financial support. Enter Andy Bechtolsheim, a founder of Sun Microsystems, who was one of the few to see the true potential of what Brin and Page had wrought. During their presentation to him, Bechtolsheim said he had to duck out for another meeting, and he offered to write them a check. With its first corporate headquarters located in a friend’s garage in Menlo Park, California, Google’s search engine was already getting 10,000 queries a day while still in beta. This article first appeared on Wired on Sept. 7, 2007.